The above title says it all. I've read and heard of complaints from Giant hypermarket before this and it is true. In fact, this is the second time this is happening to me. The first incident was a few months ago, at the same Giant hypermarket in Section 13 Shah Alam. I bought Rafferty Garden's baby food pouches. The price for 1 pouch is RM7.99 but the promotion price is Buy 1 Free 1 so I took 4 pouches. By right I should only be charged RM7.99 x 2 but when I paid for the items, they charged me RM7.99 x 3. That means they did not count the second Buy 1 free 1 combo. The cashier can't undo the mistake so I had to lodge a report at the customer service center. I had to fill in a form and waited almost 1/2 an hour to get my money back, which is a total waste of time but heck, it is my money and it's RM7.99 mind you. Another incident happened just yesterday. I dropped by Giant because I needed to go to the bank. Then I went in and bought some stuffs, including this pair of pants for Babycakes. It's hot pink, the material is good and it's only RM9.99. 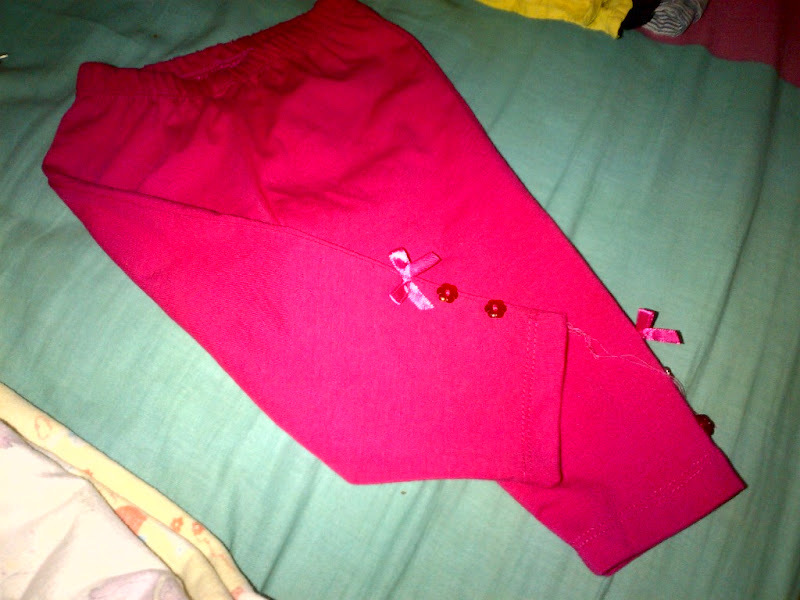 A hot pink lycra pants for Babycakes. There are other colours too but obviously I chose this hot pink. Check out the price tag. It is only RM9.99. When I went to pay, guess how much they charged me? RM12.99. Ridiculous isn't it? I asked the cashier, "seluar tu bukan RM9.99 ke?" She then looked at it and mumbled something. Then she called another staff who verified it. Duhh, clearly it is written RM9.99 and the price tag was on the pants itself. 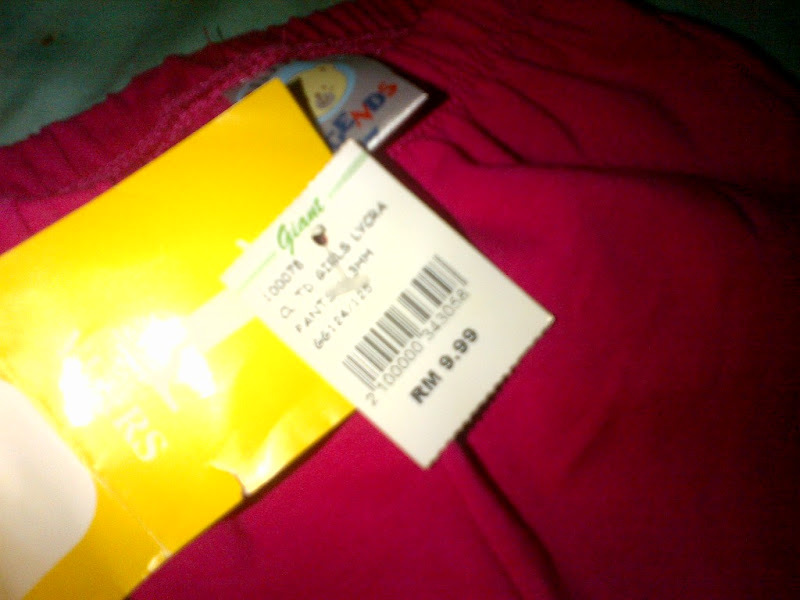 The other staff then keyed in something and then deducted the RM3 from the lycra pants as shown above. Sorry for the low quality of the images but I hope you can see it. 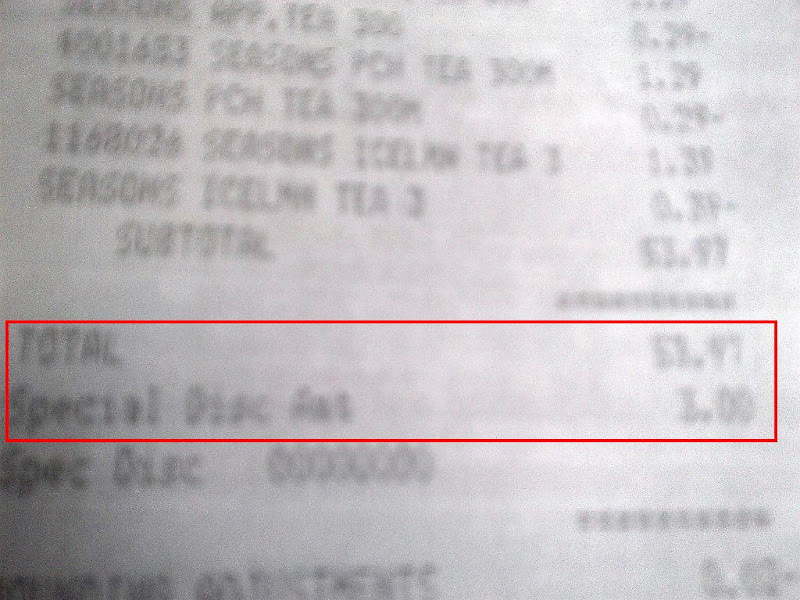 I also bought three cans of ice lemon tea at RM1 each (should have bought more, so cheap!) 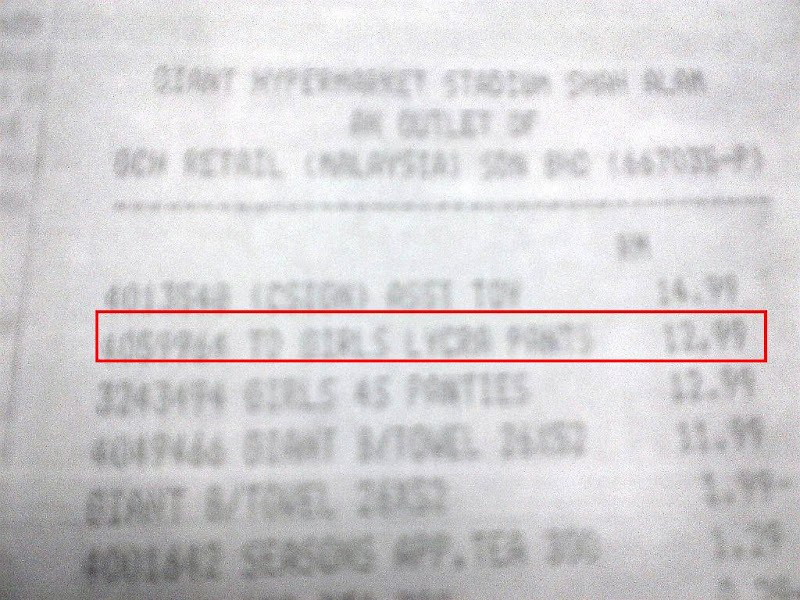 but when the items were scanned, it shows RM1.29. I just have to ask, "Air tu bukan RM1 ke?" The cashier replied, "Dia akan tolak sendiri". If you go to Giant hypermarket, at the entrance there are some items for RM1, RM3, RM5, RM10. This was where the ice lemon tea were. There was also bath towel for only RM10 and I took one piece. 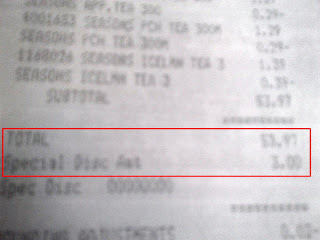 Again, when it scans, it was RM11.99 but luckily it automatically deducted RM1.99. So please be careful and be alert of the prices of the items you take. The shelves may note different price but the cash register may note another price. I am lucky I caught this mistake before sales was concluded or else I will have to go through the hassle of claiming my money at the customer service center. Know your price and know your right. Let this be a lesson to all of us. It is our hard earned money be it 30cents or 3 ringgit. time preggy i kene susu kotak basi dia jual padahal expiry date lama lagi. terus tukar tapi leceh la, kene isi form segala bagai. 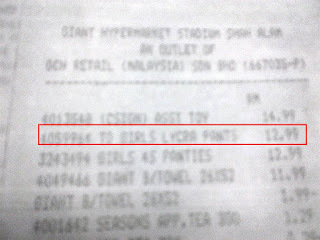 beli diapers pun kene hati- hati. tag harga tak betol. teruk la Giant ni, takde quality control langsung. Kena sentiasa alert, if not rugi lah kita.